FORAN - Palatable, highly effective syrup containing glucosamine, MSM and marine collagen to restore and maintain joint mobility and health - 1, 2.5 or 5 l.
By buying this product you can collect up to 23 loyalty points. Your cart will total 23 loyalty points that can be converted into a voucher of 6,90 €. OST-O-FLEX, highly effective syrup combining glucosamine, MSM and marine collagen to help restore and maintain joint health. High-level performance and repetitive training takes its toll on a horse's joints. Maintaining joint health is critical to ensure top performance. 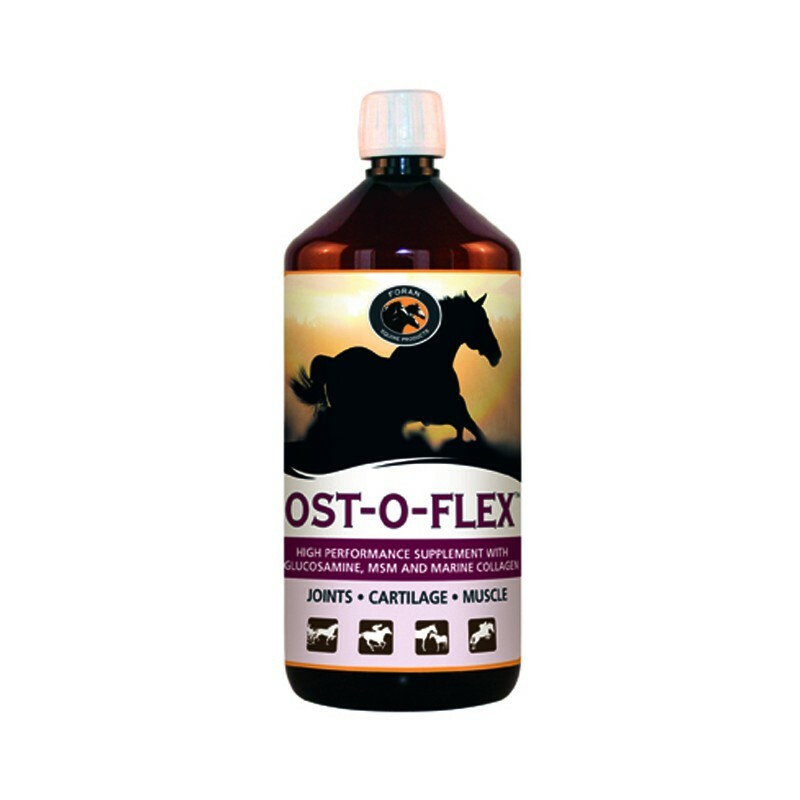 OST-O-FLEX combines glucosamine, a key component of cartilage, with MSM for cartilage production and its anti-inflammatory properties. It also includes powerful marine collagen, which is an excellent source of calcium, chondroitin sulphate and hyaluronic acid. Chondroitin sulphate is necessary for cartilage production, whilst hyaluronic acid is a key component of joint fluid. 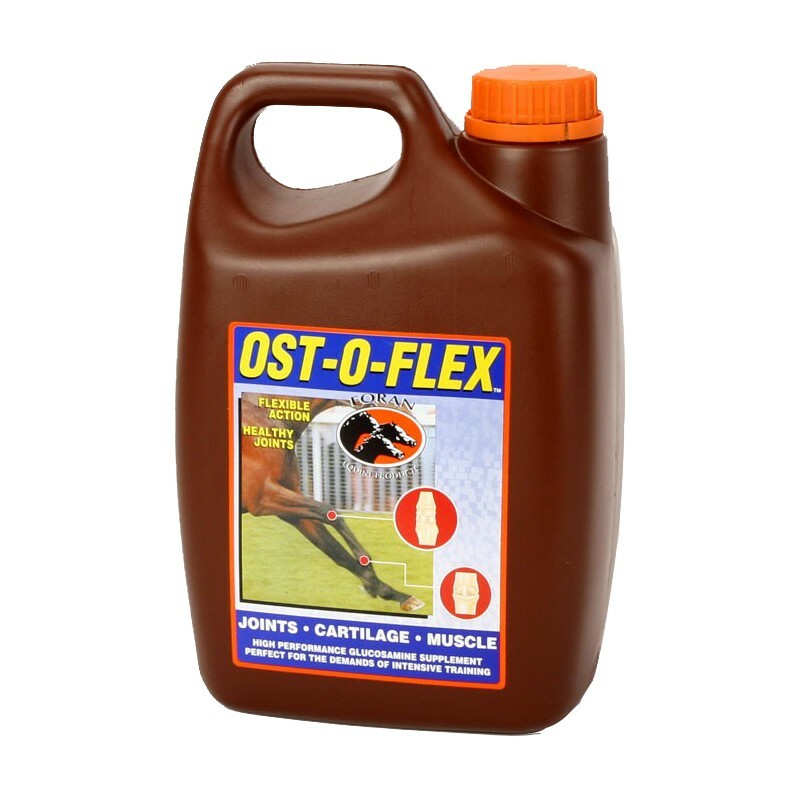 OST-O-FLEX is a powerful combination of ingredients to aid cartilage and joint fluid production thereby maintaining joint health, lubrication and shock absorption. The beneficial effects of OST-O-FLEX become evident within as little as two weeks of supplementation. 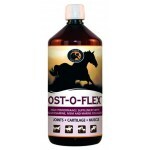 OST-O-FLEX is suitable for long-term supplementation and use during competition. Instructions for use : Give twice daily for first 10 days, then give once per day as a maintenance dose. Weight 1, 2.5 ou 5 l.